The Law Offices of Stephen J. Dunn offers services to clients who are either Federal Employees or Government Contractors and who have a work related injury. The Categories of Benefit Entitlements under the Office of Workers’ Compensation (OWCP) are: compensation payments, paid medical expenses, and schedule award benefits. The nature of each benefit changes depending on whether you are a federal employee or a government contractor. A schedule award may not be paid to a claimant that is currently receiving compensation, you must be back to work full time or retired to receive one. 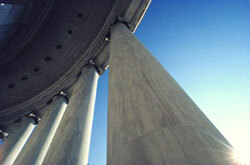 The Office of Workers Compensation (OWCP) handles all workers compensation claims filed by federal employees. The OWCP has a very complex and bureaucratic structure and for an employee or other novice to the system it can be very difficult to navigate through OWCP rules and regulations. Our Law firm has handled hundreds of OWCP matters over the last several years, obtaining Schedule Award benefits, straightening out disagreements and disputes through the appeal process (Branch of Hearing and Review or Employees Compensation Appeals Board), obtaining beneficial medical evaluations and convincing the OWCP to increase disability ratings and benefits awarded. If you are contemplating filing an OWCP claim or are having difficulty with an existing claim. Contact us today to see how our experienced federal employment law firm can help you obtain the maximum benefits to which you are entitled.